Field crop growers, PCAs, and other members of the ag community. As a new UC advisor with a degree in soils, I am in the process of getting better acquainted with the soils in the area. Sacramento, Solano, and Yolo counties have an incredible diversity in soils. While most of the soils in the area are well-mapped, the maps are scaled to a larger area than might be fitting for growers. Most growers have a pretty good idea of the soils they are working on, but might be willing to let someone have a second look. This lends itself to a mutually beneficial arrangement. I get a better understanding of the soils in the area, you get a layer-by-layer analysis of your soils in terms of texture, rock content, infiltration, and color. I will also collect samples that can be sent to a lab for analysis (which I would also be eager to see). Water holding capacity, rock content, and the presence of plow layers/ other root restrictions. Nutrient profiles, deficiencies, and toxicities. 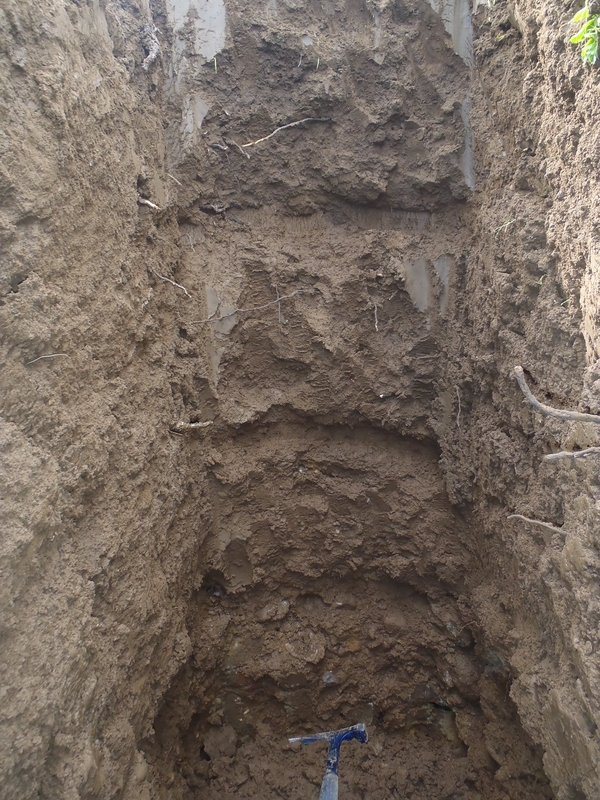 Over the next few months (until September) I will be offering to do a half-day of soil pits three to four times per month. If you would like me to have a look at your soils, please get in touch with me and we can put something on the schedule. The only requirement is that there is a backhoe available. I can do 2-3 pits in a half-day, take advantage of the opportunity to look at different soil types in your fields or areas that perform differently. Sounds good to me. Please call me at 916 997 8573.